"Reading the dictionary" is usually regarded as a geeky, if not nerdy thing to do: when the activity is even mentioned, there is often a subtext that it is something meted out as a punishment, or is something resorted to by people who are bored, who don't really have a life, or who don't know what to do with the one they've got. Despite the popular view, we are all card-carrying dictionary readers in the Lounge and we find the activity both edifying and soothing. Not long ago we had an email from our friend and colleague Cynthia Hallen of Brigham Young University, about her online Emily Dickinson Lexicon (EDL). This news sent a shiver of excitement through the Lounge, because we knew that Emily Dickinson, too, was an avid dictionary reader: she owned and frequently consulted Noah Webster's 1844 American Dictionary of the English Language -- the last dictionary that Noah Webster himself worked on. Dickinson's niece, Martha Dickinson Bianchi, reported that her aunt Emily read the dictionary "as a priest his breviary." We took some time recently to explore the EDL and try to get a sense of what role the dictionary played in Dickinson's poetry. The Emily Dickinson Lexicon is a model of a perfect marriage between modern electronic technology and good old-fashioned poetry. Every poet's work could be beneficially studied, and made more interesting and accessible, by the searching and concordancing facilities that a project like the EDL offers: it gives us the ability to see at a glance the many contexts in which a particular word is used in a body of poetry, as well as a look at the definitions and illustrative examples of the words that were very likely consulted by the poet in the course of her work, and that had an influence on her composition. This is a particularly suitable system for studying Dickinson's poems, since she is known to have drawn a great deal from the dictionary. Dickinson's studied use of the dictionary is even more compelling and intriguing when we consider of the particulars of her life. Dickinson died before she was 56, but left a body of work totaling almost 1800 poems, composed from the time she was a teenager until the year of her death. She did not seek renown during her lifetime, publishing little and sharing only a small number of her poems with family and friends; the majority of her work was not discovered until after her death. In the last years of her life, Dickinson lived in near isolation. She never married or had children; she rarely ventured beyond the yard of her house (the house she was also born in), and she had contact with very few people outside a familiar circle. This would hardly be guessed by anyone reading her poetry, which expresses a multidimensional life of great depth and breadth. The picture that emerges is one of sharp contrast: a woman who, on the one hand, embraced the eccentricities of her vocation, which seemed to require her withdrawal from most of society and to demand nearly continuous intensive introspection. On the other hand, she devoted hours of study to a book - namely, the dictionary - that is the meeting place of all language users, a storehouse for the consensus of meanings of words. Despite her shunning of publicity during her life, and her disinclination to participate in any way in the public intellectual life of her time, it's hard not to think that her basic motive was communication: concise, succinct, distilled communication using words. She counted the dictionary among the foremost tools of her trade and learned to use it expertly. Today, more than 120 years after her death, her communications are as fresh and jarring as when she wrote them. Her method of old-fashioned dictionary study is an inspiration to anyone today whose task is to create an enduring message using only words. We have chosen three of Dickinson's short poems (and most of her poems are short) that we have found illuminating on subjects that we ponder. By using the Visual Thesaurus and the EDL, the poems provide the opportunity (as any of her poems do) of exploring the ways in which words and their definitions connect to each other throughout the vast body of her poetry. We have provided links to entries for some words; we recommend the study of these same words in the EDL (link provided below), where you can see the various meanings that Emily Dickinson employed (perhaps "deployed" is a better term) and the contexts in which she used them, as well as some of the dictionary definitions that influenced her. Many versions of Dickinson's poems are now regarded as public domain and these are the ones we have used above. They differ very slightly in some cases - for these three, not significantly -- from the versions of her poems now regarded as definitive, which are still copyrighted (see link below). To get the full benefit of the site -- access to poetry concordances and advanced search features -- you need to register, but this is free and only takes a moment. The versions of Dickinson's poems now regarded as most definitive were compiled in 1999 and published in various editions, of which the most practical and affordable is The Poems of Emily Dickinson: Reading Edition. What a delightful article and just a breathe of fresh air in the first of the day e-mails! Thank you so much - greatly appreciate this standard of quality. You mean I am not the only one who reads the dictionary for pleasure? Oddly enough, I reach for my Oxford, my spelling dictionary and my French/English dictionary more than the other books within my walls. I spend my life reading, writing and reviewing but truly find more solace in a dictionary than most any other type of book. When I teach poetry to my AP English classes, I try to impress on the students the necessity of understanding the time in which a writer lived and the words available to the writer at that time. 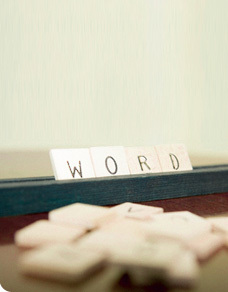 We discuss how words evolve and nuances of meaning past and present. I'm anxious to share this article with them and my collegues. Thank you. It's a joy to wake each morning to find my "word of the day" delivered to my inbox overnight. Now I have this article that breaths new life at the end of my week.... and at the start of a new month. What a great time to resolve to delve into the dictionary once again. In an age in which I can find the spelling of most words without leaving my software program, there's nothing like the print dictionary to provide meaning. This was a lovely article. Not only do I love a good dictionary, I used to have my children read the encyclopedia to me at night, ostensibly to "help me sleep," letting them select the volume and page at random, and then find entertaining bits to share. I had to pretend to be growing sleepier and sleepier as they read, but in fact found my mind thoroughly engaged and energized by all that delicious information. My married daughter has begun doing that with her daughter now, to my astonishment and delight. In an age informed by the weird shorthand of a text message, it is nice to think a child can still learn to spell the old fashioned way. Such a pleasure to be gifted with a charming essay first thing in the morning! Nice change from uncooked e-mails and intrusive political polemics. quite a nice article. dictionaries are interesting repositories of history for those that care to peruse the etymologies of so many words. i find the unabridged versions to be very useful for tracing history however controversial some may be. Nice to breathe a breath of fresh air. Your articles are always such; thank you! Dickinson's poems are divine, particularly the first one you quote here. So encouraging to hear that others read dictionaries for fun and edification. I'll bet others are like me -- you collect them like cookbooks and have many editions. As a Canadian-American of Scots orgin, I can't live without Nelson's Canadian Dictionary and the Concise Scots Dictionary, along with many foreign language dictionaries. We are truly spoiled with the bounty of words and their collections. Am sending a link of this article to my daughter who used to read the dictionary as an adolescent. I don't believe she writes any poetry, but with her excellent vocabulary, she could. Myself, having developed a need to write 15 months ago, have recently decided it's not cheating to use a thesaurus. Am so glad I ran across your site. My poetry is getting "pretty darn good", I'm told. Thank you. I hope you love them too. I have 72 dictionaries (at last count) and love them all—general, scientific, technical, language, medical, etc. When I look up the definition of a word, I always look it up in several dictionaries to get the full sense of the word. And an English dictionary without etymologies is worthless to me. Thank you, thank you, thank you. I am so consoled to know that there are kindred souls out there who share my passion for words. For years I was thought eccentric because I kept a very large dictionary, which I consulted regularly, on a stand in my dining room. On one of the shelves below, I kept my "New Words" file card box. One of my treasured possesions. I read this article with delight. I've so often felt that poets make the best prose writers as well ... the form requires such a honed use of words to distill the essence of an experience or thought or emotion. I am grateful also for the links to the edl. I'm still trying to navigate my way through the VT and the many secrets tucked within its structure. Thank you! Comment by: H. J. S.
Orin's look at the remarkable Noah Webster. Orin celebrates another great poet. Nursing informs the stanzas of this poet.